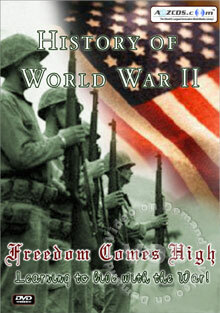 This rare and outstanding set of DVDs present a comprehensive review of the contributions of various American people during World War II, and the efforts made by government agencies in educating the masses about diet, safety, and other relevant issues. While American soldiers were engaged in battles in Europe, Africa and Asia, life back home in the United States went on seemingly untouched by the war. The facts however were quite different. Each patriotic citizen contributed in his/her own way to the war effort. Some gave up their sons, others learned new skills and worked overtime in factories and offices to keep the army, navy and air force supplied with weapons and other essentials. The threat of an enemy attack too couldn't be ignored. Life had to go on. There was a lot of work to be done and sacrifices to be made!